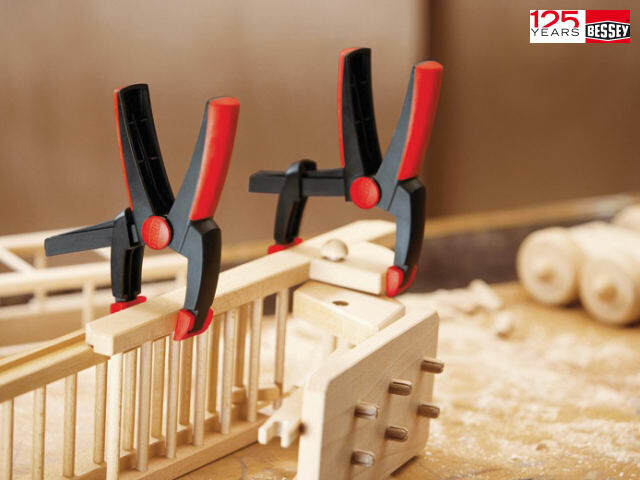 The Bessey VarioClippix XV Spring Clamps offer variable clamping force and are perfect for gluing, clamping and securing objects. They feature soft, anti-slip ergonomic handles that offer quick and easy one handed operation. 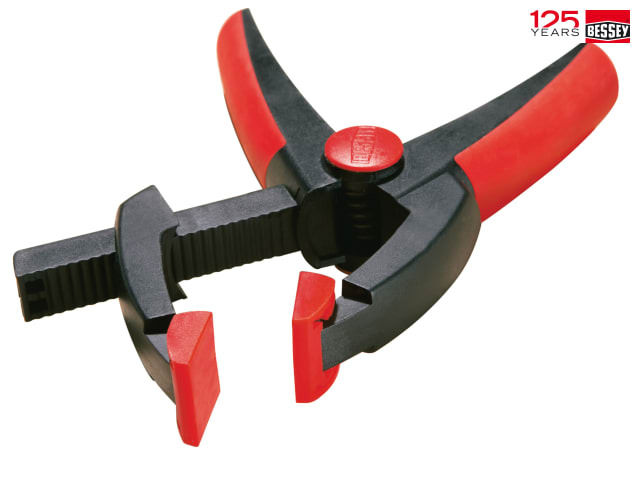 The self adjusting caps offer secure, non-marking clamping. 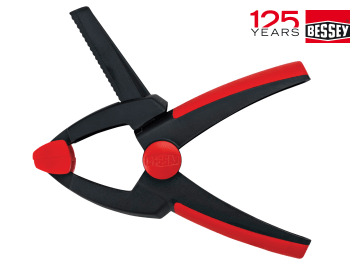 Manufactured from robust, lightweight, reinforced nylon for ease of handling.